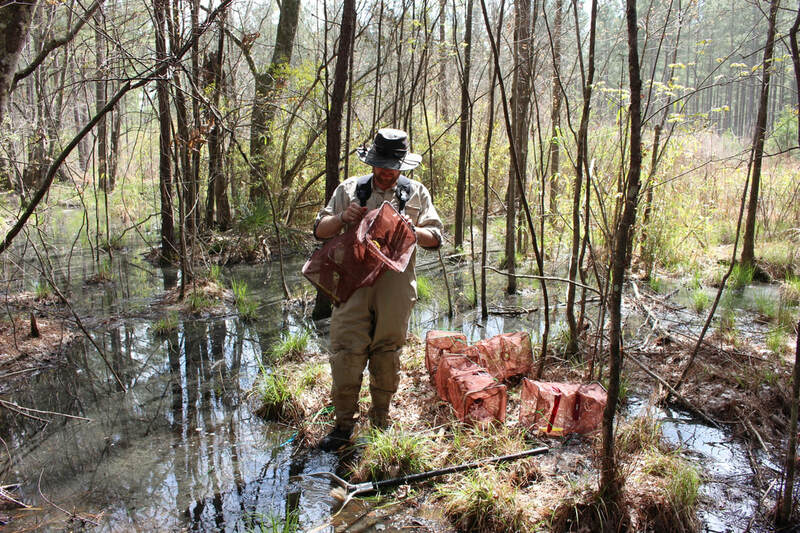 In light of Carolina Gopher Frog (Rana capito) population declines and the species’ review for federal protection under the Endangered Species Act, we initiated an acoustic monitoring program at historical gopher frog breeding locations in South Carolina. In collaboration with the South Carolina Department of Natural Resources and with support of the United States Fish and Wildlife Service, the goals of the current study are to use remotely sensed acoustic anuran call data and gopher frog absence from historical breeding sites to assess extirpation at a regional scale. The Marshall University Herpetology and Applied Conservation Lab started a long-term monitoring program for hellbenders using mark-recapture techniques in 1998. Current hellbender research in our lab is partnered with the Amphibian and Reptile Conservancy and the USDA Forest Service. In collaboration with the Amphibian and Reptile Conservancy and the USDA Forest Service, we are working in two national forests (Monongahela National Forest and Wayne National Forest) using environmental DNA (eDNA) sampling and traditional monitoring techniques to quantify causes of hellbender extirpation. 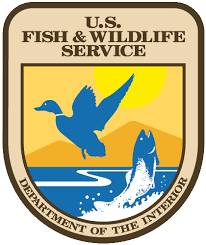 This project is being conducted in collaboration with the Marine Corps Recruit Depot Parris Island (MCRDPI), Nemours Wildlife Foundation, and the South Carolina Department of Natural Resources. The goal of the project is to examine the conservation utility of eastern diamondback rattlesnake and fox squirrel translocations in pine savanna restoration areas. Jonathon Cooley, graduate assistant in the Herpetology and Applied Conservation Lab, and an eastern diamondback rattlesnake. 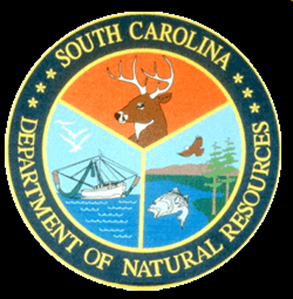 This project is being conducted in collaboration with the South Carolina Department of Natural Resources, who started monitoring rattlesnakes and corn snakes on state-owned properties in the South Carolina Coastal Plain in 1996. This study focuses on the imperiled longleaf pine ecosystem that once dominated the southeastern Coastal Plain. In 2010, the project was expanded to include anurans, salamanders, and all snake and turtle species. This study has evolved into a long-term monitoring program that incorporates a natural experimental design to examine functional and structural aspects of ecological integrity. Currently, our long-term research is examining interactions between ecological restoration and species life history traits, with particular emphasis on species endemic to the longleaf pine ecosystem. This pioneering research was crucial for South Carolina's response to the petition to list eastern diamondback rattlesnakes (Crotalus adamanteus) for protection under the Endangered Species Act. This research has provided much-needed information about eastern diamondback rattlesnake ecology (habitat specificity, survival, age at maturation, and dispersal). Graduate students in the Marshall University Herpetology and Applied Conservation Lab are strongly encouraged to participate in this research project. The lab makes numerous trips to the study site to collect long-term monitoring data. Students are encouraged to generate and conduct smaller studies that complement broader goals and have the potential to result in peer-reviewed publications (e.g., Fill et al. 2012). Collaborators: South Carolina DNR biologists: Will Dillman, Jay Cantrell, Steve Bennett (retired), and Wade Kalinowsky. Dr. Jayme Waldron and Dr. Shane Welch processing a canebrake rattlesnake at a long-term monitoring site in the South Carolina Coastal Plain. 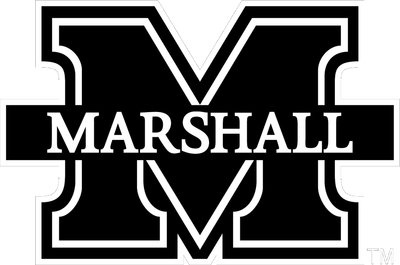 Marshall University Herpetology & Applied Conservation Lab: Kelli Herrick, Marcie Cruz, Elise Edwards, Derek Breakfield, Brian Williams, Nate Shepard, and Kevin Messenger. Funding for this project was provided by South Carolina DNR, Riverbanks Zoo and Garden, National Wildlife Federation, and The Gopher Tortoise Council. practices for the Department of Defense. 2) Examining EDB survival and movement ecology. Collaborators: John Holloway (Marine Corps Recruit Depot Parris Island), Tim Harrington (Marine Corps Recruit Depot Parris Island), Ernie Wiggers (Nemours Wildlife Foundation), Beau Bowers (Nemours Wildlife Foundation). Funding for this research was provided by DoD Legacy, Natural Resources and Environmental Affairs Office (Marine Corps Recruit Depot Parris Island), and Riverbanks Zoo and Garden. The Marshall University Herpetology and Applied Conservation Lab acknowledges the following organizations for supporting our South Carolina research projects. Cheat Mountain Salamander (Plethodon nettingi). Photo by Kevin Messenger. This project was initiated in response to concerns about the effects of maintenance and construction of recreational trails and roads in the Monongahela National Forest on Cheat Mountain Salamander (CMS; Plethodon nettingi) populations. The CMS is a federally threatened species endemic to high elevation habitats in the Allegheny Mountains, West Virginia. Because preliminary data suggest that high-use trails fragmented CMS populations (Pauley 2005), our objective was to examine the effects of recreational trails and gated, gravel roads within the Monongahela National Forest on CMS movement, survival, and abundance. Specifically, we examined the effects of three treatments (i.e., gated roads, high-use trails, low- to moderate-use trails) on these parameters. The results of this study will be used to develop recommendations for trail and road management/maintenance in CMS habitat within the Monongahela National Forest. 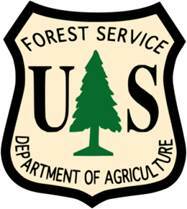 Funding for the project was provided by the USDA Forest Service (Monongahela National Forest).